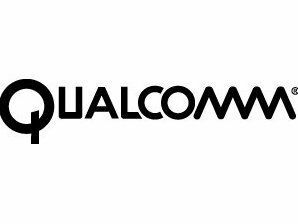 Qualcomm has declared itself as the first chipset company to support the Microsoft Windows Phone 7 Series, with devices set to arrive 'in time for the 2010 holiday season'. Qualcomm states that it is working with Microsoft on the next generation of Windows Phone, to 'redefine the possibilities of mobile experiences'. "People's lives are not a set of discrete tasks and their phones should not be either. Windows Phone 7 Series software offers a fresh approach that integrates the Web, applications and content and brings new services such as Zune and Xbox LIVE to the phone for the first time," said Andy Lees, Senior Vice President, Microsoft. "We've worked closely with Qualcomm on Windows Phone 7 Series software and Qualcomm's Snapdragon chipsets are an integral part of bringing to life the rich, integrated experiences on a Windows Phone in a way that conserves battery life and provides always-on connectivity." "Qualcomm has a long history of working closely with Microsoft on Windows Phone, and we are continuing this collaboration to support the launches this year of exciting new Windows Phone 7 Series devices based on our Snapdragon chipsets," said Steve Mollenkopf, Executive Vice President of Qualcomm and President of Qualcomm CDMA Technologies. "We are very excited about the next generation of devices that will leverage the synergy of our highly integrated system on a chip solutions and Microsoft's Windows Phone 7 Series software."